Today’s retail environment may be the most challenging ever. Changing consumer preferences and increased competition from e-commerce giants are pressuring brick-and-mortar chain retailers like never before. For your business to survive and thrive in this rapidly evolving retail landscape, it’s critical that you integrate innovative, cost-effective ways to enhance brand awareness, generate traffic and boost sales – while providing a positive, engaging in-store (as well as online) experience. In our complex omni-channel environment, this is no longer merely an option—it’s a must. Implementing OKI’s printing solutions adds another revenue-driving element to your business’s personalization strategy. Imagine being able to reprint missing or damaged store graphics, generate on-demand customized gift tags to support spontaneous customer purchases, or even create regional or event-specific pricing and promotional materials quickly and easily. Best of all, when they’re not producing attention-grabbing images at which your customers will marvel, our versatile printers are equally adept at tackling the inevitable mountain of invoices, bills, reports and other paperwork you need to print each day. And with minimal training and maintenance required, your staff will spend more time handling business essentials and key priorities – like taking care of your customers and making sales. With all that OKI provides, it’s easy to see why successful retailers depend on us for their comprehensive printing needs. We’ve built our 45 year reputation delivering on-demand retail print solutions that spark customer engagement, drive awareness and deliver results. We know how to develop and leverage our printing solutions to preserve brand identity, reduce operational costs and drive revenue. 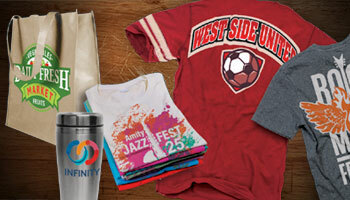 Print vivid, eye-catching graphics and point-of-sale signage that customers won’t soon forget. Print everyday documents from inventories to receipts using rugged hardware you can rely on. 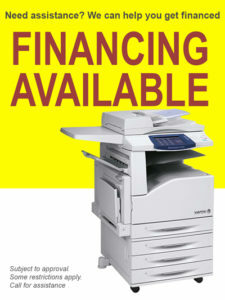 Optimize your existing print fleet, cutting costs, waste, and stress. Print with your Android, Blackberry, or iOS device. Adapt to more efficient workplace trends needed by busy HR professionals. Drive customer satisfaction and sales by enhancing branding, messaging, and the overall appearance of signs and labels. OKI printers and MFPs let you instantly—and affordably—print floor signage, price tags, shelf labels, directional banners and gondola frames for a visual competitive edge. Put leading edge print technology in your stores at a fraction of the cost of competitive equipment. OKI has been building and maintaining commercial-grade printers for 40+ years. We understand your need for reliable, durable and cost-effective retail equipment. Our printers are built specifically for your fast-paced and competitive environment. 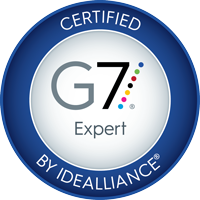 Measurably improve printing performance and reliability by reducing manual intervention. 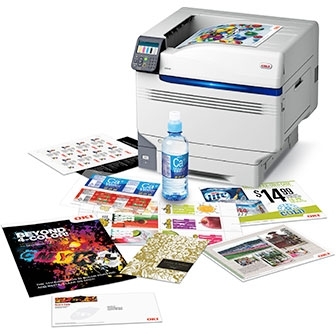 OKI commercial-grade performance delivers expanded paper and toner capacities, and greatly simplified operation in a ruggedized footprint, so retail staff spends less time handling printers – and more time delivering an exceptional customer experience.